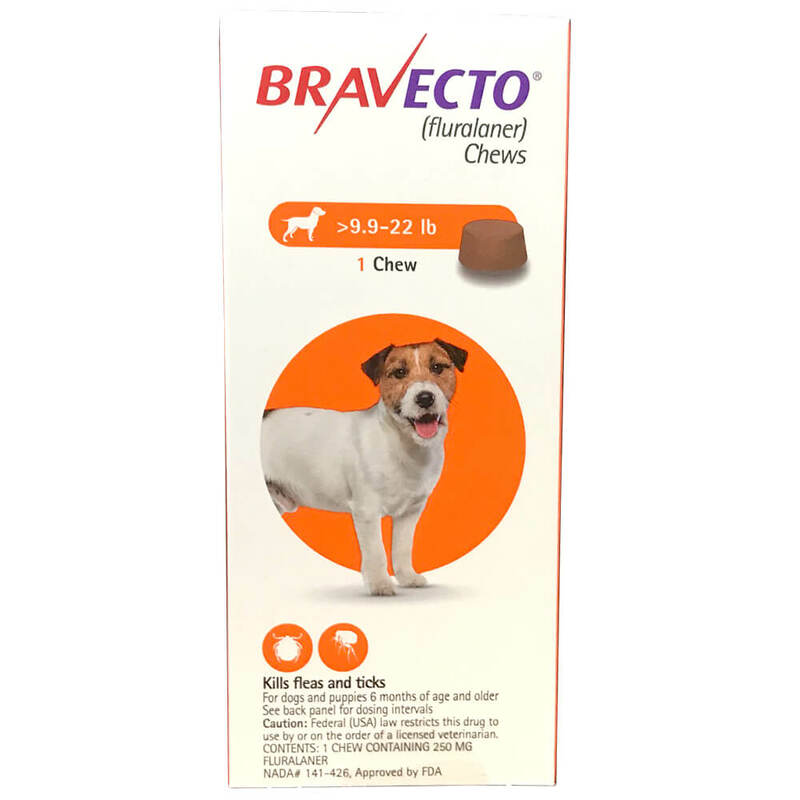 Effective three times longer than monthly doses, Bravecto provides 12 weeks of protection against fleas and ticks for dogs. One chew starts to kill fleas within 2 hours and controls 4 tick species, including black-legged tick, American dog tick, brown dog tick, and lone star tick. Current flea infestations are eliminated and new ones are prevented from development for a full 12 weeks. 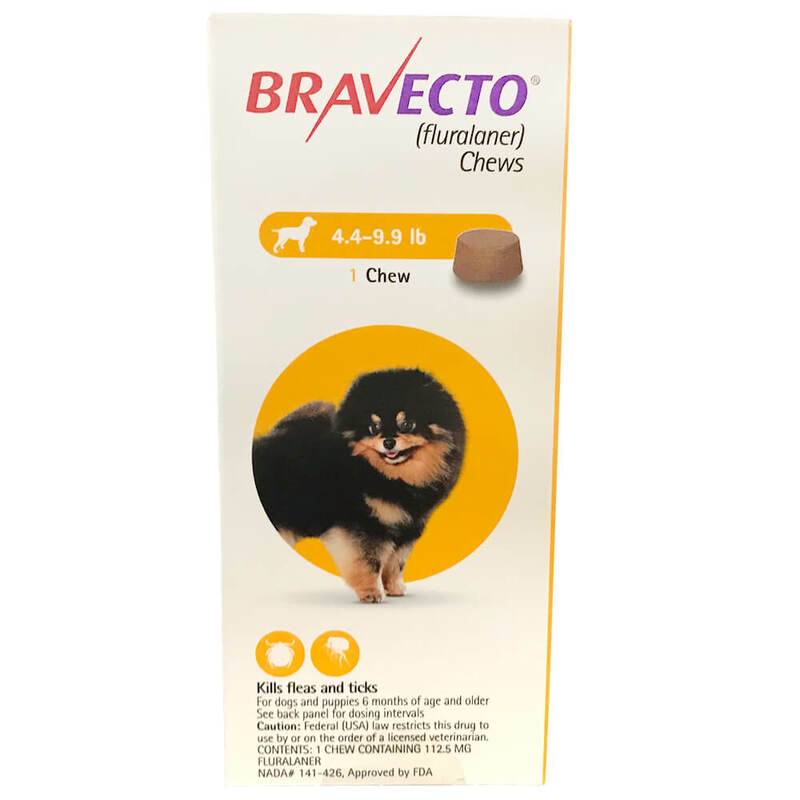 Say goodbye to monthly dosing, messy topicals and collar hassles and say hello to Bravecto, a delicious chew that fights external parasites! Dogs must be 6 months or older and weigh over 4.4 lbs. 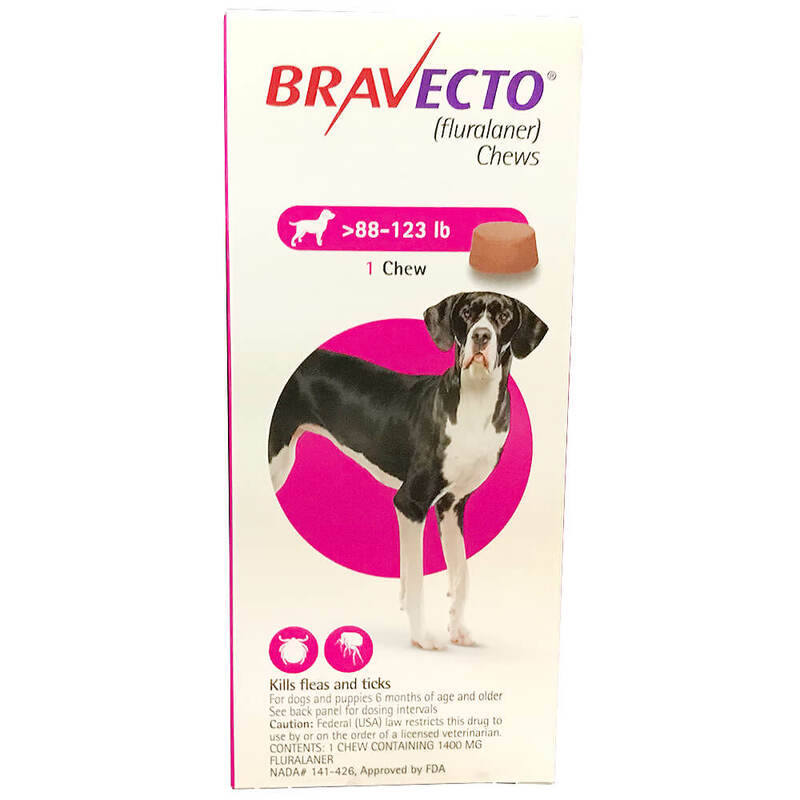 After giving your dog Bravecto, the medication quickly reaches tissue fluids under your dog's skin. 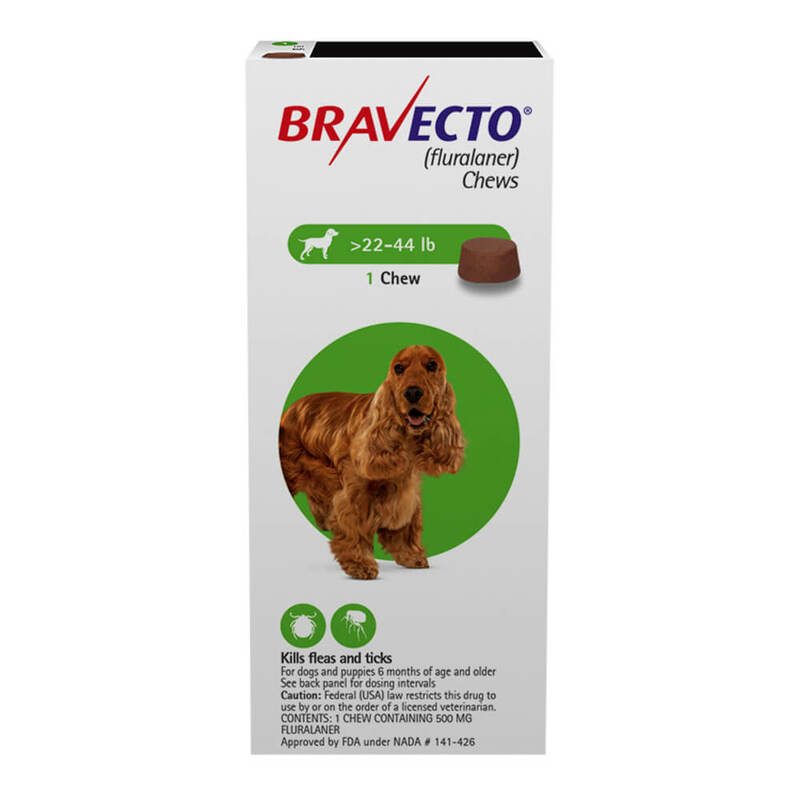 When fleas and ticks feed on your dog, they ingest Bravecto and die. 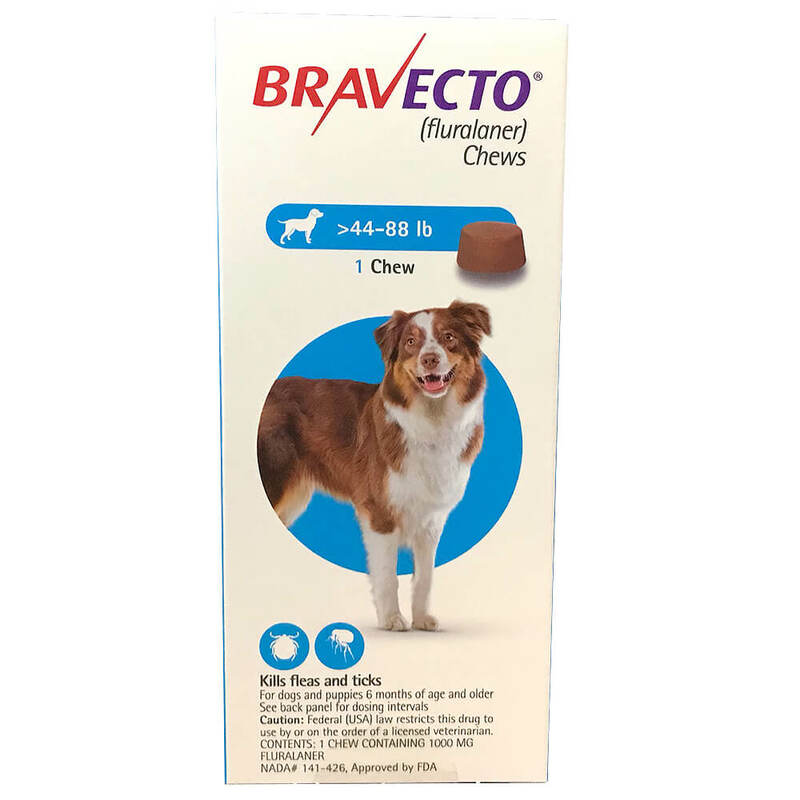 Bravecto kills fleas, prevents flea infestations and kills ticks (black-legged tick, American dog tick, and brown dog tick) for 12 weeks. Bravecto also kills lone star ticks for 8 weeks. All prescription items are NON-REFUNDABLE and NON-RETURNABLE. Keep out of the sight and reach of children. Store at room temperature away from foodstuffs in the original package to protect from moisture.